Having just finished a collaboration with photographer MartinParr, The Art of Dining have announced a new art-focussed dinner, at the National Trust's Osterley House, starting on Wednesday 7th May. Meet Osterley's owner, hear about tales of his adventures, and then tuck into a 5 course dinner, inspired by his travels. While not as central as many of the things I feature, the house is just a 15 minute walk from Osterley tube station on the Piccadilly line. "This new collaboration between the much-loved cult dining collective and National Trust London will focus on the collections of the East India Company, presenting them on your plate, in your glass, and all around you, for this very special event. 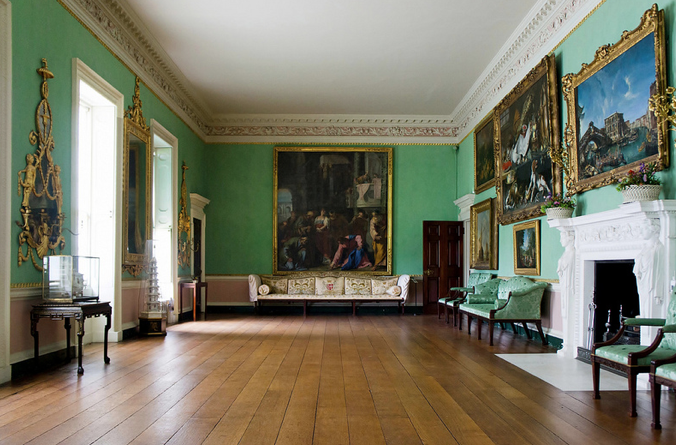 Seize this a once-in-a-lifetime opportunity to dine in the long gallery at National Trust’s wonderful Osterley house, amidst the treasures collected from the Orient by Osterley’s owner Robert Child, who will personally regale you with tales of his adventures. As prospective patrons of the East India Trading Company, Robert will attempt to win your favour and secure your investment during a sumptuous five -course dinner inspired by his travels. Set designer Alice Hodge will transform the stunning Long Gallery with silks, colours, birds and flowers. The Art of Dining’s trademark interactive elements will feature throughout the meal."